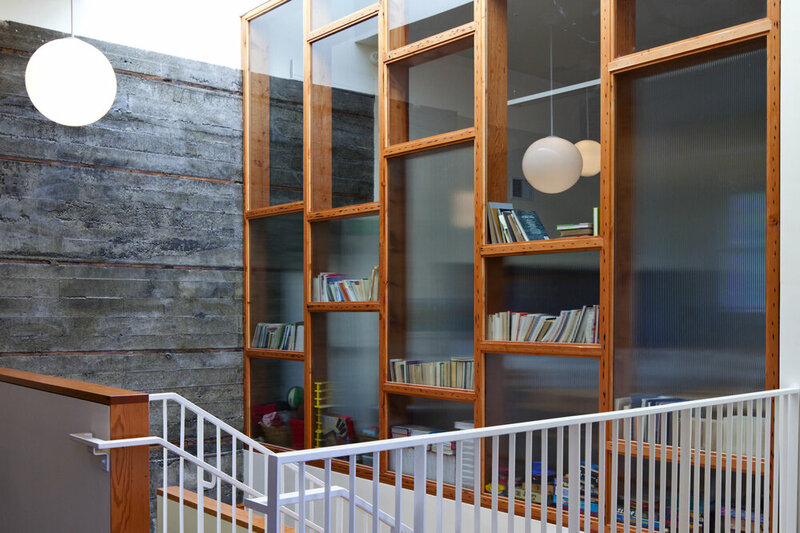 The Radiator is the first all-timber building of its scale in the past century. 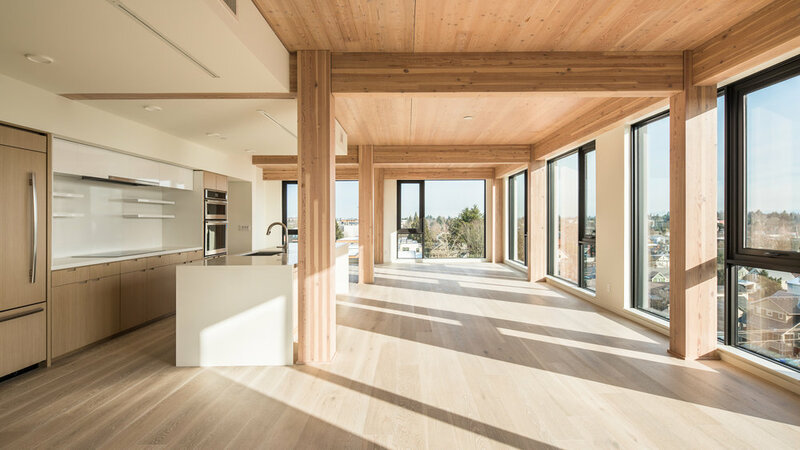 It played a key role in proving the financial viability of constructing large buildings with wood, reintroducing the design and build industries to the benefits of wood and kicking off a building boom in Portland. The Radiator showcases the inherent carbon-trapping benefits of wood and the fact that building with timber dramatically reduces the carbon footprint of the construction process. 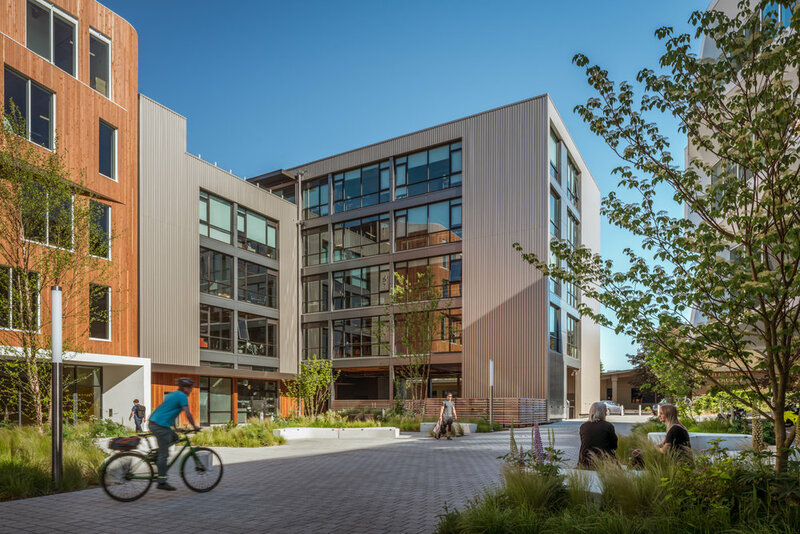 It provides office space and public outdoor space within a mixed-use, high-density residential neighborhood, improving walkability for neighborhood residents. 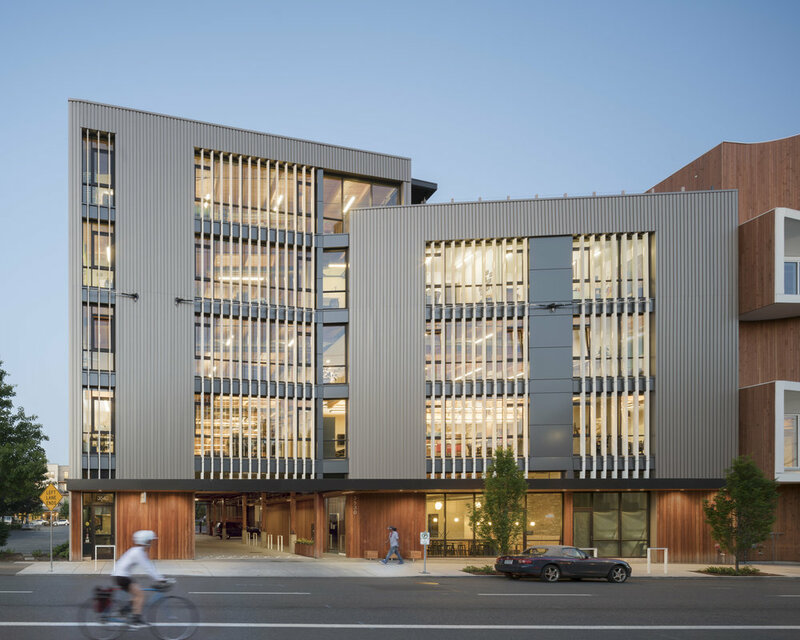 The building’s tight envelope reduces infiltration and heat loss, and a fully automated exterior fin array on the West side reduces heat gain and glare. The Radiator also features a full photovoltaic array covering the entire roof, LED lights to minimize energy usage, an underground earthquake early warning system, and on-site water runoff management. 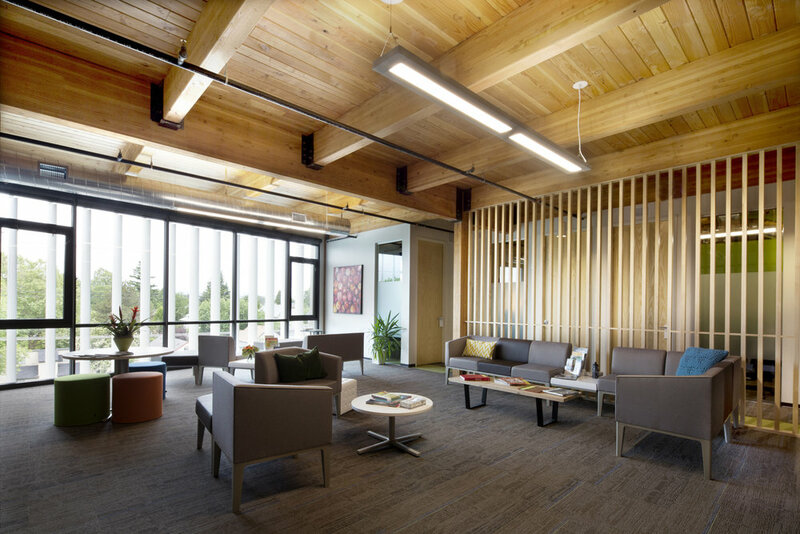 Kaiser Group and Path Architecture are separately established Oregon corporations.